Stowman Law Firm, P.A., is your Firm for Personal Injury and Loss of Life Claims. Accident? Injured? We Have Answers. Minnesota Personal Injury Lawyer. After your injury accident, you want to hire the best personal injury lawyer you can find. Our Detroit Lakes personal injury law firm has been helping people injured in accidents and injured at work for more than 40 years. We are skilled and experienced accident and mediation lawyers. Your first consultation or meeting is a free – no charge consultation. If you think you need a lawyer for an accident, you can call us on the phone whenever you have a question. 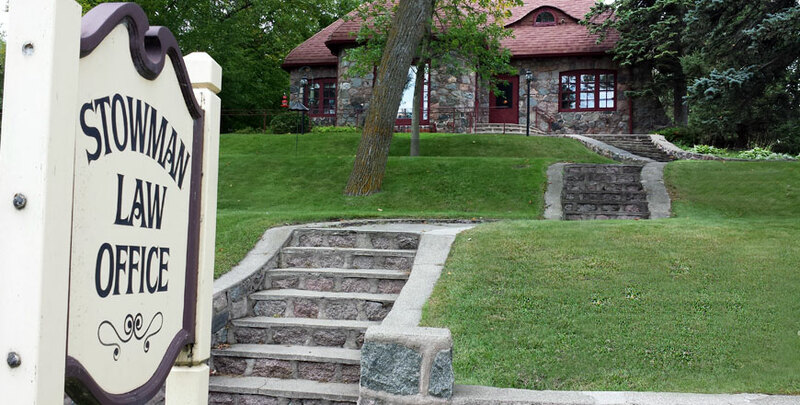 You can stop by our office in Detroit Lakes, Minnesota, even without an appointment. You can email us. SEARCH STOWMAN LAW IN THE BOX TO THE RIGHT! Find us on the map. Talk to a Lawyer, NOT a Phone Bank or a Pop-up Chat Box! We help people who have been injured in accidents, and we help surviving family members after someone has been wrongfully killed. We help people reach settlements in mediation and arbitration. 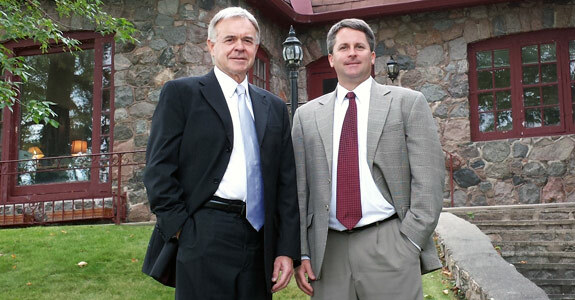 Many of our clients come referred to our Detroit Lakes office from friends, family members, and former clients. Research and compare attorneys. Other lawyers often tell their injured clients to call our office to handle their personal injury claim. It speaks to the trust other lawyers have in our law firm. Do you wonder how people review personal injury lawyers? Do you read personal injury lawyer reviews to find the top rated lawyers? Do you wonder about attorney and lawyer ratings? Find out how real people who hired our injury attorneys rate their experiences by watching video client testimonials. Fargo Personal Injury Lawyer. Our personal injury attorneys help people in their fight against insurance companies in both Minnesota and North Dakota. You only pay attorney fees if we get money – compensation – for you. Our lawyers help people in their fight to get back the life they knew before they were injured. Our accident lawyers help people who are worried about how they are going to pay the bills and put food on the table because of medical bills and wage loss. We help people hurt in Minnesota, and we help people hurt in North Dakota. You were in an injury accident. What do you do now? You have rights. The person who caused your accident is responsible to pay for the damage he or she caused. If someone was negligently injured or killed, there will be a claim for the loss. If you were injured in a car accident, your own car insurance might pay for your medical bills, even if the accident was not your fault. What is the first thing you should do after a Minnesota or North Dakota car or truck accident? Click HERE. Personal Injury Attorney Minnesota. Your own auto insurance might pay your lost wages if the injuries from your crash cause you to miss work. If you were hurt in a slip and fall accident or injured at work, your rights are different. Please take a minute to click around the website – you might find answers to some of your questions. If not, our injury lawyers can answer specific questions about your case if you call or email us. You can also ask our accident attorneys a question in the “I Have Questions” box. Accidents are a lot of work. Accidents are a huge hassle. Our law firm will help you sort through the paperwork. After an accident causing injury or wrongful death, there might be insurance available to pay the damages. That is what insurance is for! People buy insurance to pay damages so they don’t have to pay anything out of pocket. That is how insurance works. Someone else’s insurance claim will not make your insurance rates go up. But, the insurance company does not want to pay. Our personal injury law office will help hold the people who caused your damages accountable and get your damages paid. We will work to get you the compensation you deserve. We will work hard to get you a fair settlement, and we will go to trial with you when settlement is not possible.